BAAGZ 1.1 : What's new ? BAAGZ version 1.1 has been released recently. On the agenda : bug fixes (“error 500” problems are solved) and a bunch of new funny features. Stop uploading pictures from your computer one by one. You can now select several files at once and save time. It is a invaluable tool to create image galleries. 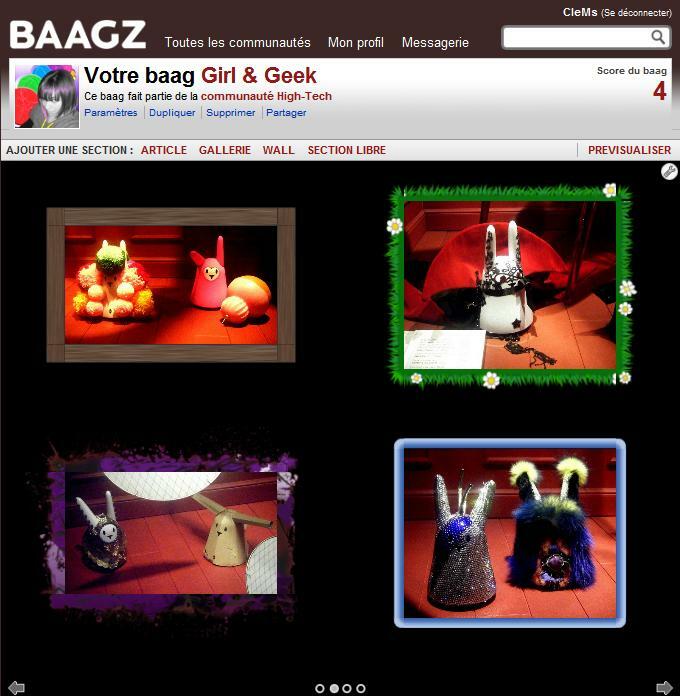 You can now add one (or more) image galleries in your baagz. Customize a gallery the way you want by changing picture size, borders for each photo or display order. New borders have also been added. Do not hesitate to play with them to create nice effects in your baagz. To give your visitors the ability comment on your creations, you can add a fully customizable wall of comments anywhere in your baag. 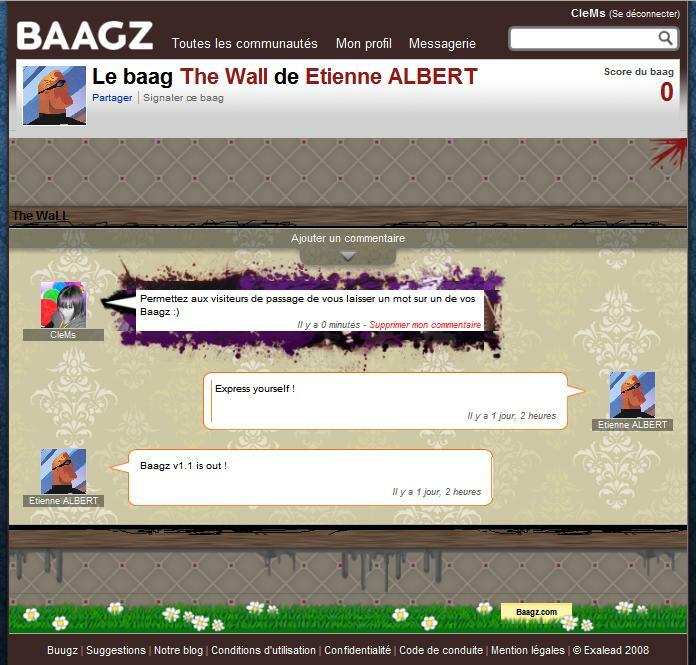 Have fun with those new features and do not hesitate to leave a message to show us the baag you’re especially proud of !